Marketing automation can seem quite daunting at first glance, but really it’s more accessible than you might think. App marketing automation is all about delivering personalization to app users in a timely and efficient manner. Marketing automation can become personalized when you segment app users based on common attributes and behaviors. Craft unique, tailored messages that will appeal to specific groups, and set up those messages to be triggered by specific events and activity. Think of them as highly advanced auto-responders. Next, set up auto-enrollment so that new users will be siphoned into appropriate buckets and automatically sent relevant messages that apply to their subset, helping apps stay engaged with users without wasting time. When designed well, marketing automation results in smooth and streamlined nurturing, allowing your app to engage users down conversion paths – and it’s all done automatically! Marketing automation makes it easy and efficient to engage with app audiences, letting you send relevant, timely messages at just the right moment. So what are some good marketing automation use cases? We’re going to show you six specific scenarios for using app marketing automation. Many apps require new users to complete a sign-in process before they can begin using the app. Use marketing automation to send new users a welcome push or in-app message congratulating them for completing their sign up. 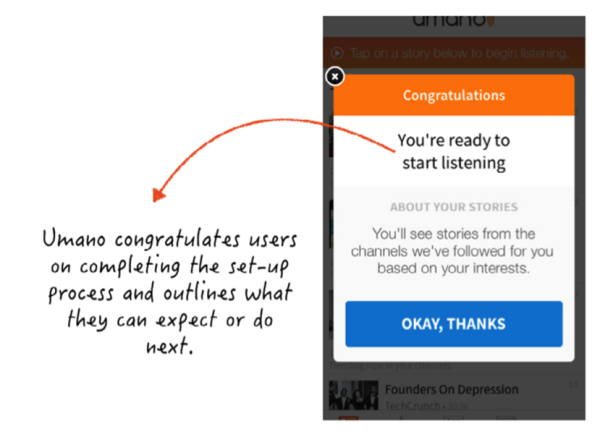 Celebrating users for beginning their app journey with you helps build app loyalty and also informs users that they’re ready to start using your app. This step is especially valuable for apps that require a processing period before users can get up and running in the app. Finance apps are one example, as they often require additional certification that needs to be processed before users can get going. needs to be processed before users can get going. Using an in-app message to congratulate users on completing their signup process also gives ample opportunity to highlight an app’s most valuable features and guide users towards their second interaction with your app. Another use case of how marketing automation can save time is through transactional notifications. Automating the delivery of essential order information is simple – use a push message or email to let the user know that their order has gone through, then provide additional details such as an order number, a support contact, or, in the case of food-delivery, expected wait time. Automated transaction messages like these don’t just save time – they also establish trust with users, helping to build long term brand loyalty. App shoppers will often “like” specific items they want, but for one reason or another aren’t quite ready to buy. Marketing automation can be a conversion catalyst when applied to these liked, bookmarked, or wishlisted products. When a product that a user has interacted with is on sale, marketing automation can be used to alert users, such as via a push message, that one of their favorited items is now on sale. This extra push can jumpstart latent users into returning to your app and completing the checkout process, saving marketing time while bringing in conversions. When users are close to reaching their fitness goals (whether it’s a monthly mileage or meeting a consistent once-a-day routine), consider sending out an automated push notification to support them in those final steps. Users delight in discovering that their app can be a cheerleader, pushing them to meet goals and celebrating their success when they surpass those goals. When users begin to see you as a friendly coach and performance partner, they’ll feel more loyalty towards your app and turn into super fans. App marketing automation makes these kinds of goal-oriented interactions a breeze. 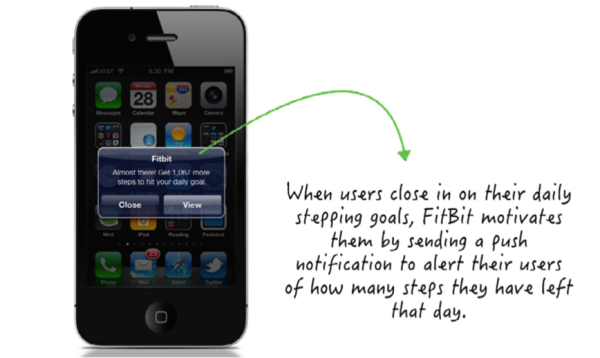 While automated goal-related messages are especially relevant for fitness-related apps in the style of FitBit or Runkeeper, they can also apply to a wide range of apps. Reading apps like Audible or Kindle can let users know when they’re halfway through their book. An app like Untapped, which keeps track of all the different beers a user has tried, can let the user know when they’ve tried a certain number of new brews. For many place-oriented apps such as Yelp and Foursquare, reviews are everything. The more users that post restaurant and hotel reviews in your app, the more valuable your community becomes. Boost activity and reviews by harnessing the power of marketing automation – set up your app to request a review (whether via a push alert or in-app message) automatically after a user has checked in to a location relevant to your app. 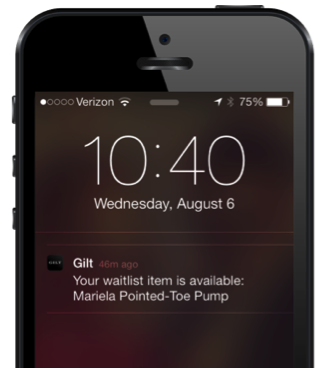 These automated reminders will help grow your community and keep app users engaged with the flip of a switch. When set up strategically, app marketing automation can encourage users to engage with valuable content and alert them to updates that matter to them individually. Many content-related apps allow users to like, follow, and subscribe to their favorite authors and creators. This enables marketers to automatically know what content will interest users – specifically, content produced by the sources those users follow. YouTube implements this kind of alert system by sending push messages to app users when one of the channels they subscribe to posts a new video. With these push messages, YouTube makes sure that users never miss a reel with their favorite filmers. Alerting users to new activity in your app is a great way to keep them engaged and make sure they don’t miss out on the content that will excite them. Apps with physical brick and mortar locations can make use of marketing automation to drive app users into nearby storefronts. Marketers can set up geo-targeting and location beacon events to send out messages to users when they are in a certain radius of a nearby store. When you know an app user is nearby, consider sending them an automated message offering a discount on their in-store purchase to drive immediate footfall to physical retail stores. Do you have any ideas of other situations where marketing automation can save the day? Have you experimented using marketing automation with your app? Share your experience in the comments.